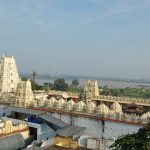 History of Bhadrachalam Temple A hallowed place that attracts lakhs of devotees from all over the world, it is the abode of Lord Rama (The seventh incarnation of Sri Mahavishnu). The name derived from Bhadragiri (Mountain of Bhadra-a boon child of Meru and Menaka). 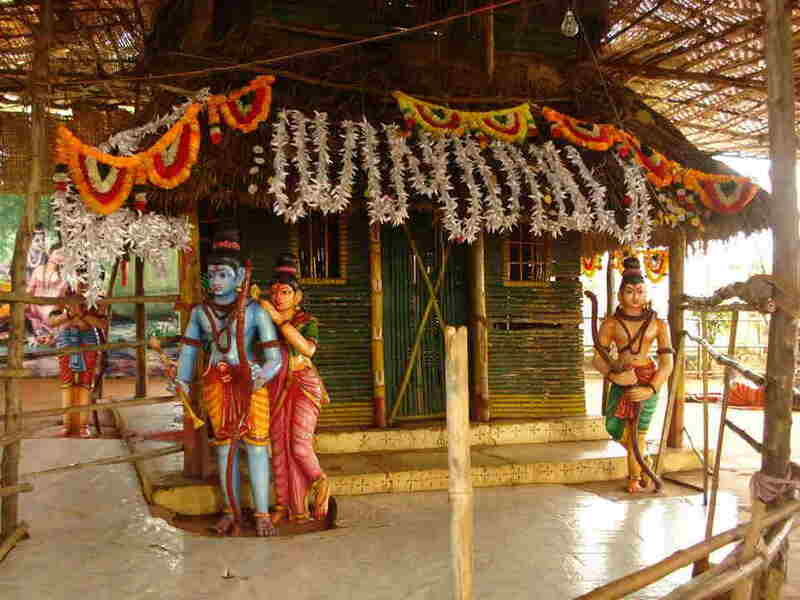 According to an Ithihasas, the significance of this shrine dates back to the Ramayana Era. This intelligible hill place existed in “Dandakaranya” of Ramayana period where Rama with his spouse Sita and brother Laxmana had spent their vanavasa and Parnashaala (the place connected to the famous Golden Deer and the place from where Sita was abducted by Ravana.) 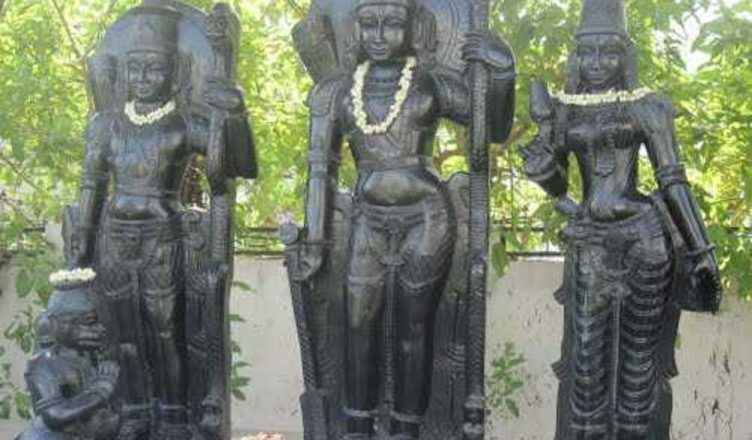 is also in the locality of this temple site. 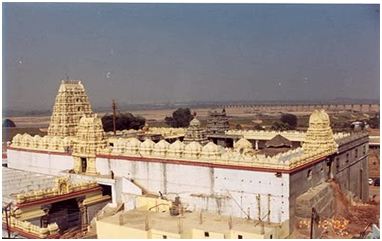 History of Bhadrachalam Temple It is at this Mandir site that, long after Ramavatara, Bhagawan Mahavishnu manifested himself as Rama again to fulfill a promise he made to his Bhakta Bhadra, who continued his Tapas through Yugas, praying for the grace of the Bhagawan Sri Ramachandra murthy. The history portraysthat the need emerged the materialization of Vykuntha Rama was that to fulfill a long desire of his ardent devotee Bhadra. The presence of Vaikunta Rama and other deities in the middle of the jungle was shown to this spiritual woman in a dream. She then spotted the site indicated in the dream, and then she cleared the jungle and offered puja to the deities. 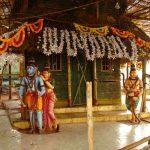 With the help of local villagers she constructed a small temple for the deities. 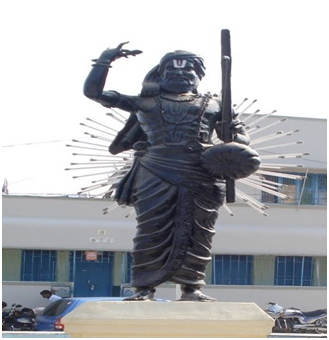 Sri Kancharla Gopanna popularly known as Bhakta Ramadasa was born in 1620 AD in the village Nelakondapalli. As per the Dasarathi Satakam, his name was Gopanna the son of Linganna Mantri, belonging to Atrey Gotram. The Mantri surname is because of the fact that their ancestors were ministers of the king. Gopanna was brought up as religious and devoted gentleman. He had developed good taste for music and was an ardent devotee of Lord Rama. As a good singer he devoted his talents in singing in praise of Lord Rama. Many of his cousins and nephews were working in the administration of the royal treasury. As his nephew Akkanna who was in the court of Sultan Taani Shah of Golconda (Abdul Hasan Tana Shah the Nawab of the QutubShahi dynasty) had Goppanna appointed as the Tahsildar of Bhadrachalam. 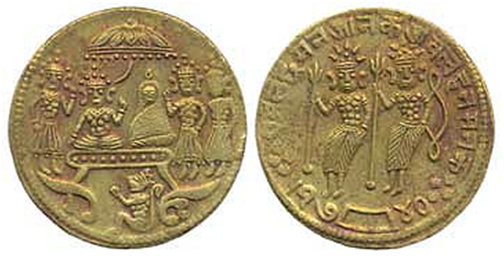 As a Rama Bhakta, Sri Goppanna led the collection of taxes for the royal treasury while also devoting time for spreading the glories of Sri Rama Nama. Gopanna diligently performed his duties while his love and devotion for Lord Rama increased day by day. 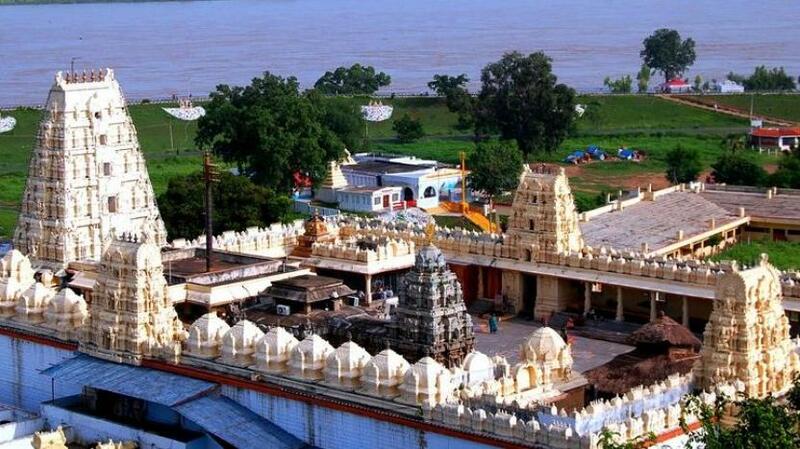 One day on his visit to Bhadrachalam for a fair, He was overwhelmed at the sight of Lord Vaikunta Rama. He began to raise funds for the renovation of the temple. As an agriculture dependent society, the villagers told him to use the tax collected with a promise to restock the fund after the harvest. When he found himself short of funds at the last stage of reconstruction, he decided to complete it by paying the deficit from the land revenue he had collected for the King. Sultan Taani Shah of Golconda came to know of what Goppanna had done in Bhadrachalam, and he dismissed Goppanna from service for misappropriation of royal funds. Furthermore, the Sultan sentenced him for twelve years in custody. Finally after much suffering of 12 years, it is said Lord Rama and Lakshmana themselves appeared and returned the money to the King and Ramadasa as he was known for his devotion to Lord Rama was later released. He later attained salvation, but his memorable songs and kirtanas are famous even to this day. The King Tanishahi recognized the greatness of Ramadasa and encouraged him in his piety and devotion. 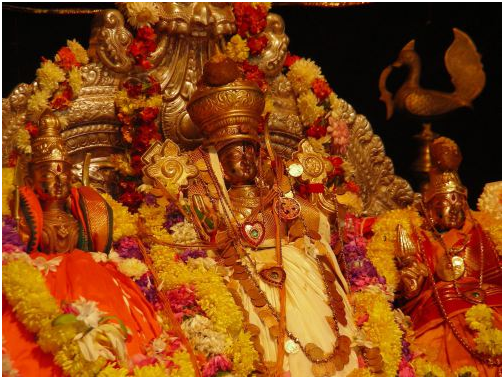 Shri Ramadasa expanded the temple, constructed Gopuras and Mandapas and made arrangements for conducting Lord Rama’s festivals in a grand manner which continues to this day. Several Puja’s and Seva’s of Bhadrachalam Temple perform daily. 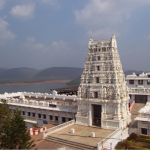 Along with that Accommodation in Bhadrachalam Temple is also available. After Tanishahi’s dynasty, the temple came under the purview of the AsafJahi dynasty, which ruled from Hyderabad and till recently alegacy grant from the Nizam’s treasury ensured the upkeep of the temple. It has now come under the directives of the Hyderabad Government. 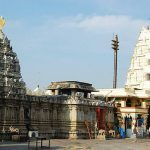 History of Bhadrachalam Temple As per other different temples in India, this temple does not have a Sthalapurana (culled out from various Puranas) nor has it been claimed to be built by Gods orSages. It is claimed to be ‘Manushya Pratishta’ or consecrated by a human being who was a mendicant from Ayodhya. He took up his abode on the small hillock and carved the image of Lord Rama and built a small temple over it. It was said that once Saint Kabir was arranged to pay homage to the deities when Gopanna was climbing the hill with some pilgrims. 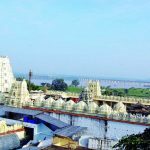 History of Bhadrachalam Temple Hindu supporters of the temple refused to allow Kabir being a Muslim to enter the temple. 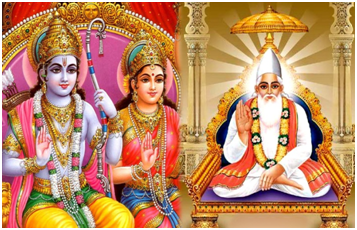 To the surprise of everyone present, the deities vanished and only when Gopanna conquered upon the temple priests to permit Kabir to be allowed entry did the deities reappear. Gopanna then realized that God was beyond caste, creed and religion and received benediction from Kabir, who conferred on him the name Ramadasa. 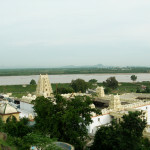 To reach Bhadrachalam there are many Travelling Facilities to Bhadrachalam are available.